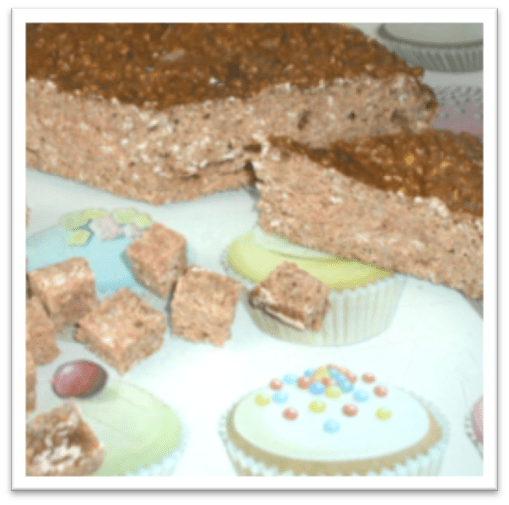 Liver cake makes an excellent, very tasty training treat and most dogs love it! It also freezes well. Crack the eggs into a measuring jug and add a little water. Mix together with the oil. Chop the liver and garlic, and blend together in a food processor adding the eggs, water and oil. Blend to a smooth consistency. Pour into a large bowl and mix in the flour and porridge oats/All Bran (if using). The mixture should be a reasonably firm consistency. Add more flour if necessary. Bake at 180 degrees for 25 – 35 minutes, until springy when pressed and when stabbed with a knife, the knife comes out clean. Allow to completely cool before removing from the tin. Divide into portions and freeze. For training, chop the liver cake into ½ – 1 cm sized squares.